From humble beginnings, Colorado-based Alpacka Raft has earned recognition as a reliable form of transport in the backcountry. And it continues to innovate and float packrafting further into the mainstream. In 1998, Thor Tingey traversed 600 miles of Alaska’s Brooks Range with a backpack and a cheap inflatable raft. He returned no worse for wear but his little boat barely survived. Not long after, he recruited his mother, a whitewater kayaker and professional designer, to help him make a raft worthy of the Alaskan bush. Their first attempt, dubbed the “White Boat,” eventually led to 20 more that year. And with that, Alpacka Raft was born. Although they couldn’t have known it then, Sheri and Thor started more than a small business. They launched a cottage industry and a popular backcountry pursuit. Today, there are thousands of Alpacka rafts plying wild waters from the Himalayas to the lakes of Patagonia. When Sheri and Thor started Alpacka, the boats were basic, almost toy-like. Not much larger than a car inner tube, they were made to ferry a single person across a river, or bobble down a gentle section of class 2 rapids with modest control. And for nearly a decade no one asked more of them. Eventually, packrafters around the world started paddling their little boats down more aggressive rivers. Updates to the design, which had progressed slowly for the first eight years, began to see advancements. 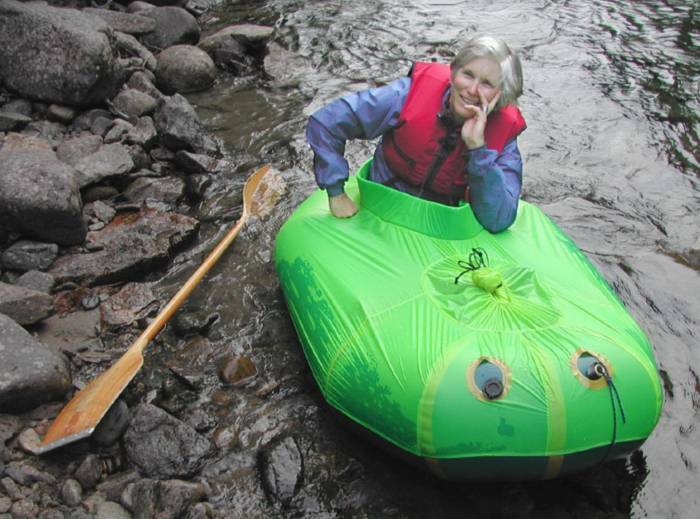 Leveraging her own boating experience, Sheri modified the rafts with new shapes and attributes to better suit whitewater. In 2010, she elongated the hulls to improve tracking. She increased volume at the bow and stern, adding stability in turbulent water. And the new rafts didn’t just float over wave trains and hydraulics — they carved through and around them. Capable of charging hard in big water mandated additional features like a spray skirt and self-bailing floors. All the while, they maintained their usefulness as backcountry travel tools. The addition of the Cargo Fly airtight zipper forever changed the utility of the packraft. The beefy zipper converts the air chambers into giant storage bags. Whereas previous solutions required lashing cargo atop the bow, the new zipper made the inner portion of the hull available for copious amounts of supplies and equipment. And with that, sales boomed. In the early days of the sport, a packraft was only a small part of an overall adventure. 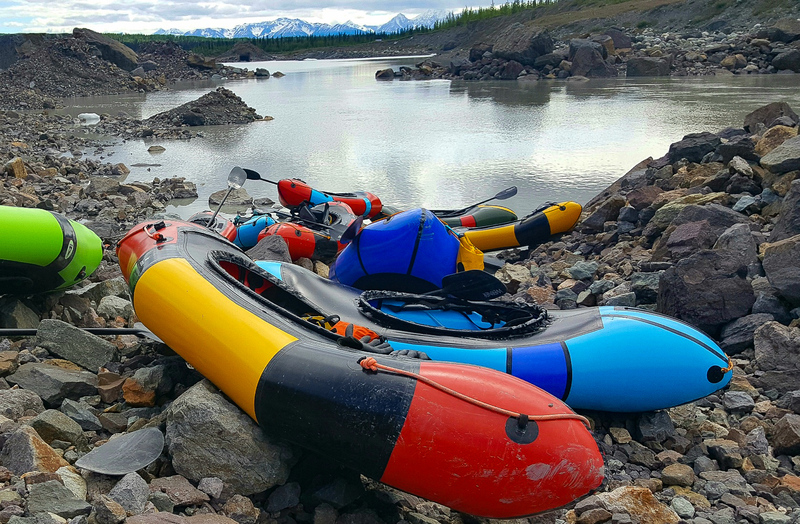 As Alpacka’s first decade came to a close, the packraft became reason enough to head for a river. But not everyone saw inflatables as worthy alternatives to hardshell boats, particularly in whitewater. Many river enthusiasts couched the packraft as a novelty. To encourage more boaters to try Alpacka’s rafts in big water, Sheri and Thor headed back to the design table. Key to Alpacka’s long-term success is the ability to design and fabricate new boats in-house. “We can go from concept to a working test model in just two days. 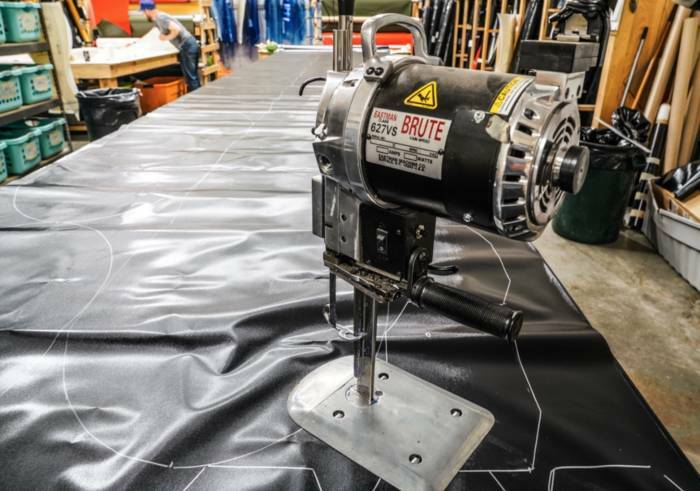 Since we’re located in Mancos, Colorado, we can be on the water quickly, conduct our evaluations, and return to the shop the same day to make alterations,” Thor said. It’s that fluid process that produced the brand’s most advanced boat in 2014, the Alpackalypse. Made exclusively to conquer rapids, it introduced several high-performance features. Adjustable four-point thigh straps and a new seating system held the paddler firmly in place, and an innovative combing hoop supported a traditional spray skirt. The rockered hull, smaller 10-inch tubes, and high-volume stern made it fast and nimble in chaotic water. For the first time, skilled paddlers started rolling their boats as they would a kayak. In 2016, the Alpackalypse gained a big brother in a slightly higher-volume boat with many of the same attributes. The Gnarwhal’s larger 12-inch tubes give it more buoyancy and gear-hauling capacity. With sales still on the rise, the Tingeys launched more boats. The Forager is the largest they have built. It hit the market in 2017 as an expedition-worthy craft capable of hauling two paddlers and a mountain of gear. 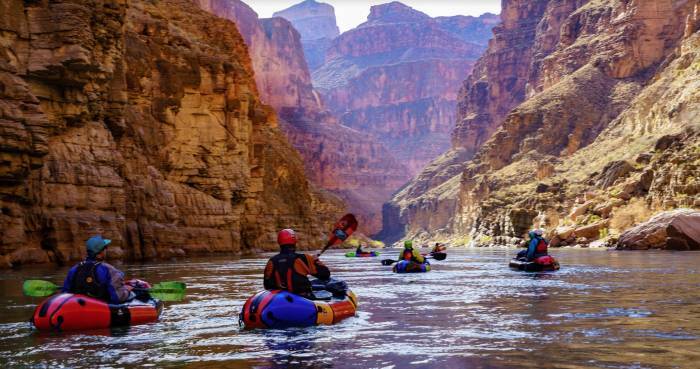 To test it, the Alpacka team took it to the depths of the Grand Canyon. Other specialized rafts include the Caribou. Its upswept bow and additional lashing points meet the unique demands of bikepackers and big game hunters. 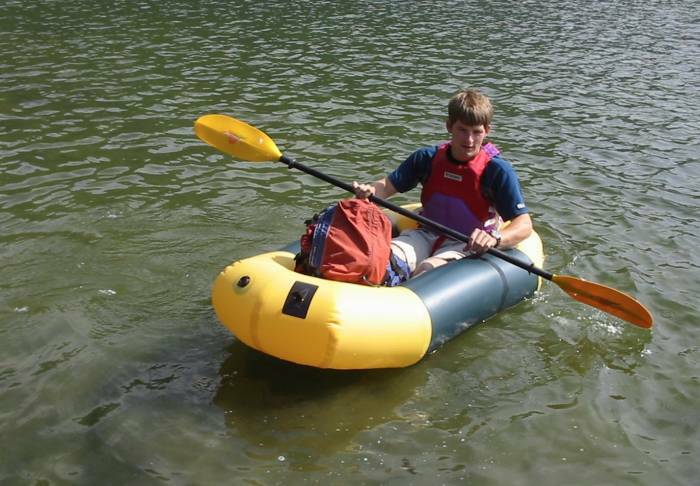 The versatility of an Alpacka raft has much to do with its appeal. When collapsed, it fits in bush planes, compact cars, and easily straps to bicycle handlebars. When not in use, it occupies a small corner of a closet. Another advantage is the kind learning curve and forgiving nature in challenging water. 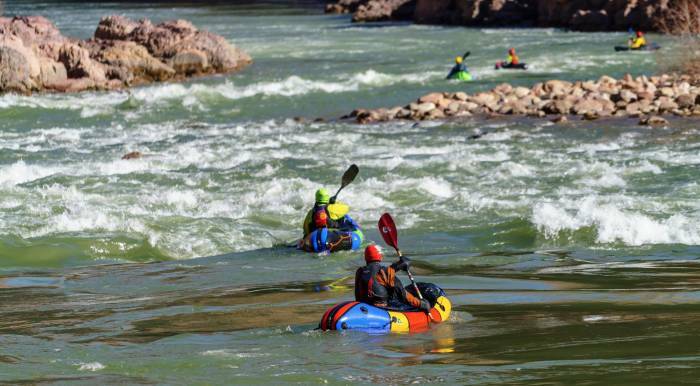 Unlike hardshell kayaks and canoes, a novice can tackle class 3 rapids with minimal instruction. 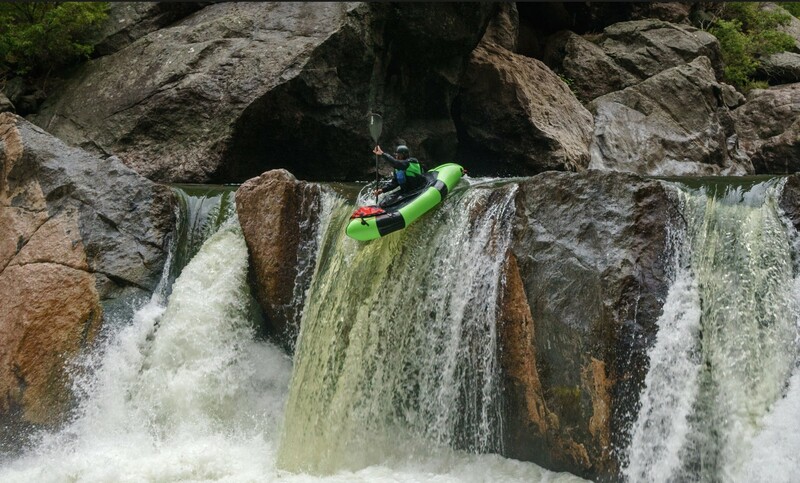 More and more people are cutting their whitewater teeth with a packraft like the easy-to-pilot Gnarwal. If you heed the siren song of the packraft, there are a couple of things to consider before making the leap. Collapsable convenience fetches a premium price. A fully decked out Gnarwal sells for more than $2,000. That’s double the price of some hardshell boats. And despite the use of durable fabrics, the air within an inflatable boat always conspires to escape. Punctures, tears, and fouled zipper teeth in the Cargo Fly are not uncommon. If you plan to venture far in a packraft, you must hone your backcountry repair skills. Those peccadilloes aside, the potential for adventure is alluring. Where once the blue lines on the map indicated obstacles, they now represent opportunities for big adventure.